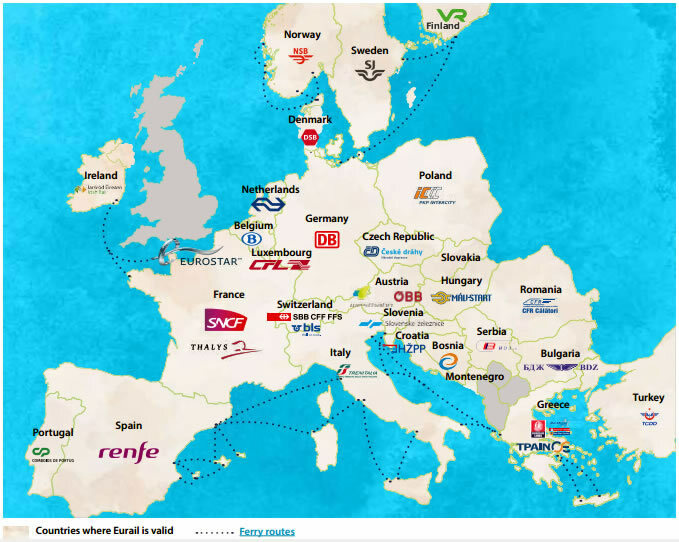 Eurail has been providing multi-destination train travel in Europe for almost six decades. With just one Eurail Pass, you will have the ability to travel in up to 28 different European countries, and there is a Pass to suit every trip. Pass validity can be as short as three days or as long as three months, and Eurail Passes can be adapted to your needs and wishes. 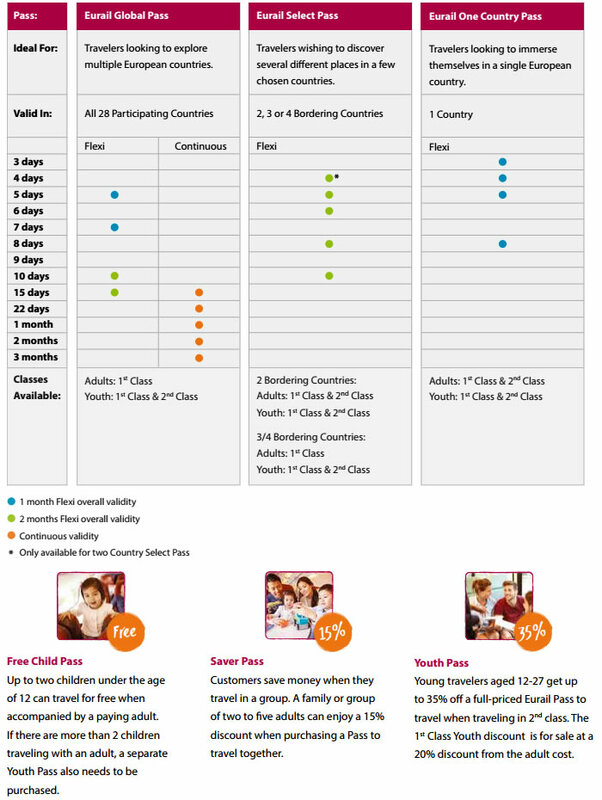 Do take note of the difference between Continuous and Flexi Passes, and that there are three main Eurail Pass groups. A Continuous Pass gives you the freedom to travel on a fixed number of days during the validity of your passes. It's the best option for travelers who do not want to commit to a fixed itinerary, or for those who want to travel extensively. A Flexi Pass entitles you to a set number of travel days within a specific period. It is best suited to travelers who know where they want to be and when, and it offers them the option of several rest days in between travel days.